Aviation Updates Philippines - A 16-year-old stowaway survived during a 5 hours and 30 minute Boeing 767 flight from San Jose, California to Maui, Hawaii. The teen stayed at the landing gear for the whole flight of Hawaiian Airlines flight 45. How did he survive in a very cold temperature? The plane was flying 38,000 feet above sea level and the temperature is 62 degrees Celsius. Medical experts said that his heart, at that temperature, will only beat a few times. Being in a Wheel Well (LDG) is like being on top of Mount Everest, an aviation expert said. 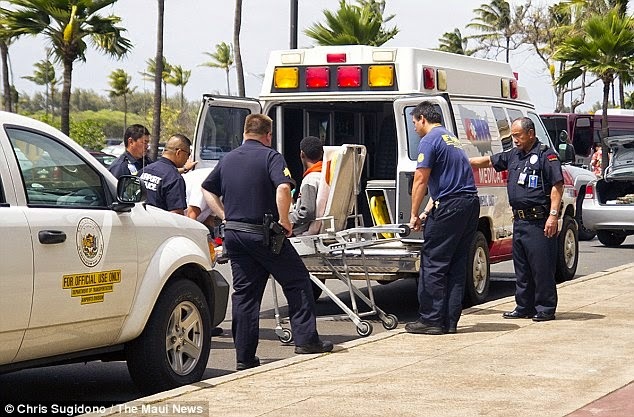 After landing in Maui, Hawaii, the teen was unconscious for an hour. After, he hopped outside and started wandering around the airport premises. Officials will not file any cases/complaints over the teen as he is handed to the child protective services. The 16-year-old stowaway teen jumped over the fence of San Jose airport, ran away and headed to the plane immediately.